In partnership with NEO and Ontology, Shanghai-based company Zeepin has been working on the development of its unique ecosystem. The company’s mission is to enable economic empowerment for businesses in the creative industries and explore the potential for blockchain use among them by conducting research and engaging creatives on the Zeepin chain. While its initial appearance may sound complex and vague, let’s dig into the whole of Zeepin and its dApps initiatives. In the creative industry, the complexities of dealing with the legal protection of digital property rights, the establishment of trust transactions and finding like-minded team members may go beyond imagination. It is probably creatives who are the most vulnerable to dealing with unavoidable legal paperwork when bringing their ideas to life. Zeepin’s team delivers blockchain-based support to innovators to boost economic empowerment of creatives related businesses. The idea is to provide support for innovators from idea inception to fully working project, solving issues related to project financing, protection of copyright, partnerships, remote cooperation, and recruitment. The blockchain will connect creative content with people in need of creative ideas channeled via embedded smart contracts. All of this is strived to be achieved via Zeepin dApps such as ZeeRights, ZeeCreate, ZeeTalent, ZeeFund, ZeeProof, and ZeeSure. First few dApps will be released on Zeepin Platform after the mainnet launch. It was little over a year ago when dApps — decentralized, open-source web applications that leverage on the blockchain technology, became a disruptor. On the Zeepin chain, dApps functionality will be enabled by the utilization of ZPT, a non-refundable token. An example of the concept behind Zeepin dApps is illustrated through this visual of a creative user on the Zeepin platform. The scope is already large. However, the company, truly run by creatives, keeps diversifying its dApps portfolio with other exciting ideas and projects. One such dApp launched by Zeepin is CryptoGalaxy – a virtual universe on Zeepin chain. It is an entertainment dApp where users can purchase planets, give them names and enjoy the diversity of a unique set of attributes and characteristics of each planet. CryptoGalaxy is also a virtual mining experience and a journey where anybody can use the GalaBot to dig minerals on the planets within the game. Those minerals can then be converted into GALA tokens which are the functional application coin on the Zeepin Chain and the means of exchange in the Galaxy ecosystem. Zeepin’s originality does not stop there. The company has been brainstorming on various creative ways of incorporating innovation with blockchain-backed digital storage utilities. As a result, GalaCloud was born. GalaCloud is an encrypted cloud storage system which is said to have advantages over traditional ones. It is probably the most significant invention of Zeepin so far. On the cloud, the stored files are encrypted and segregated across multiple distributed nodes. The cloud storage is composed of GalaHub and GalaBox nodes, included in the distributed encryption storage network. The GALA coin serves as the means of exchange to obtain access to GalaCloud storage. 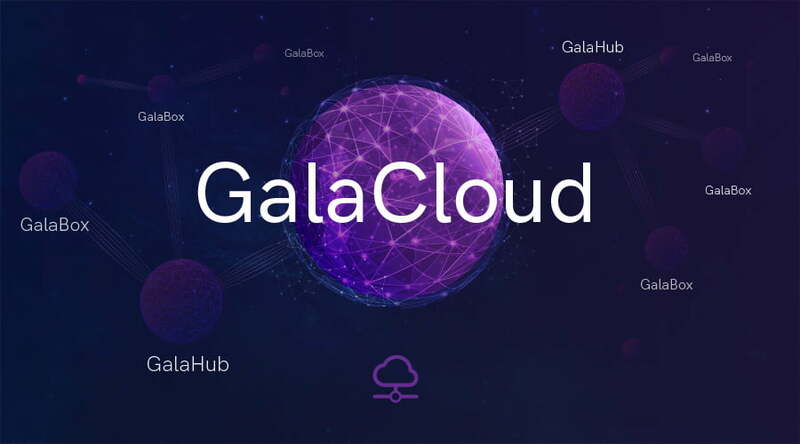 The platform distributes 70 percent of GALA coin to GalaBox nodes, 20 percent to GalaHub and 10 percent to the GalaCloud foundation. The GalaCloud is an integral part of Zeepin’s infrastructure, as it will also provide distributed storage space and service for Zeepin’s dApps. To enable the storage, GalaCloud plans to recruit a total of 49 GalaHub nodes. The applications opened on August 8, 2018, and will close on August 25, 2018. In order to enter the pool, participants will need at least 400,000 ZPTs, which will be locked in for 18 months. Following the inclusion of 49 GalaHub nodes by November 2018, the selected participants will have to provide a server with suitable storage space and high-performance bandwidth. One can read more on how to become a GalaHub node here. On the mining front, there will be up to 60,000 GalaBoxes, released in the first year. Zeepin’s physical device GalaBox is a node of data storage cluster, an encrypted storage device that can store uploaded encrypted shards from users. 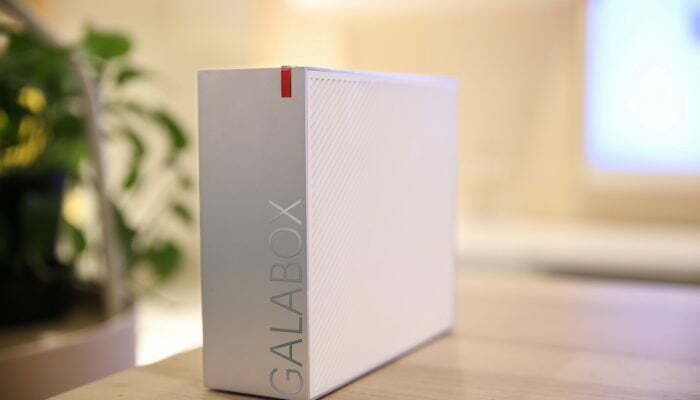 The idea is that each GalaBox obtained from crowdfunding can join the GalaBox node cluster and become a storage miner through the use of a hard disk. Then, the miner can start mining GALA via the sharing of storage space by GalaBox. Rewards will be calculated according to the optimal coefficient on a weekly basis. More information on the process of GalaBox mining is available in GalaCloud’s white paper. Initially, 10 million GALA will be released each week, and with each GalaBox added, the compensation will increase by 500 GALA accordingly and be reduced by half every two years. The 2nd round of GalaBox crowdfunding campaign will be launched on August 16 at 2 PM UTC and will run through August 20 at 2 PM UTC with lock-up of 5250 ZPT for 18 months to receive 1 GalaBox. The third round launch will start on August 21 at 2 PM UTC until August 25 2 PM UTC with lock-up of 5500 ZPT for 18 months. Once the tokens are locked, the GalaBox is free for use to anyone. GalaCloud is an important project not only due to its functionality but also as the fundamental solution for Zeepin’s dApps data storage. All dApps, when at full functionality, might become a major disruptor for creative innovators. The solutions of the platform are complex in production but handy when it comes to application. Hence, lots of creative industries might expect a major simplification for their enterprises operating freely on a trust-based Zeepin platform. The Zeepin platform has presented itself as the solution for all creatives industry-related problems. The foundation’s values aim to help millions of talents work in a just and trust-based environment. Can we say that Zeepin might become a serious player in a few trillion-dollar creative industries? So far, it does look like it is heading in the right direction. The diversity of Zeepin’s ecosystem drags attention and stands as something revolutionizing in its unique application. Zeepin has a variety of projects to develop with 2018 being its busiest year – the year of product releases and development. Zeepin Chain’s mainnet will be available from August 31, 2018.